Pioneering bitcoin ATM maker Robocoin has come under fire after an angry customer took to Reddit to publicise its grievances about how it was treated by the firm. The customer, a company called MetaLab Design in Victoria, Canada, claimed the ATM it ordered from Robocoin was severely delayed and defective when it arrived. It said it was still waiting to be refunded after returning the unit. While MetaLab no longer has to pursue its refund, its complaints are shared by several other Robocoin customers CoinDesk interviewed. These customers also said they had to wait months for delayed deliveries and described their dissatisfaction with other aspects of dealing with Robocoin. 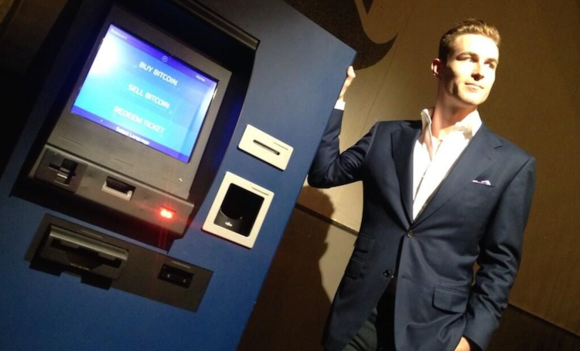 Matthew Sargent operates a Robocoin ATM in a shopping mall near the oil sands of Alberta, Canada, through his company, CoinRangers. His description of ordering a Robocoin machine is nearly identical to MetaLab’s telling of events, although he says his machine was fully operational when it was delivered. According to emails seen by CoinDesk, Sargent ordered a Robocoin ATM on 23rd November and was told his machine would be delivered in early March. A month earlier, the Bank of Canada had introduced $5 and $10 notes made of polymer, the final phase of a process to replace paper banknotes that began in 2011. Sargent, conscious of this, emailed Kelley on 7th January to ask if his unit would work with the new notes. Kelley replied minutes later, but didn’t answer the question. Sargent asked if his unit was on schedule, to which Kelley replied, “Yessir”. For the next two months, Kelley reassured Sargent that shipping was on schedule every time he asked. On 6th March, however, Kelley told Sargent that they were delaying their Canadian shipments until the end of the month, a few weeks off the original delivery date. On 24th March Kelley informed Sargent that the delay was due to the new Canadian polymer notes, which required special note dispensers from Fujitsu. Three days earlier, Kelly had told MetaLab the same thing, according to the email screenshots it published on Reddit. On 10th June, Sargent received an email from TurnKey Kiosks, a company in Arizona that manufactures the ATMs for Robocoin. TurnKey informed him that its delivery company, UPS, was having trouble getting shipments into Canada because they were not being cleared by customs. MetaLab’s emails show that TurnKey also gave the same reasons for the delay in shipment three days later. Sargent was given four options to ensure his machine made it across the border, ranging from sending it anyway and letting him clear it with customs officials at the border himself to hiring a custom broker called Geodis Wilson who would do the paperwork for him. Sargent decided to use the recommended broker, paying around CA$2,000 for Geodis Wilson’s services. MetaLab’s emails show that TurnKey also gave them the same reasons for a delay in shipment three days after Sargent received his email. It also paid CA$2,000 for a customs broker. Both Sargent and MetaLab eventually received their ATMs in mid-June. Sargent got his machine on the week of 16th June, the same week MetaLab received its unit. By the time Sargent had his machine running, he had paid CA$4,500 for three months in rent and the broker fee of CA$2,000. The delivery delay had cost him CA$6,500. MetaLab reported that it had spent CA$3,000 because of the delay. Another dissatisfied Robocoin customer is SatoshiPoint, which ordered two machines from the firm. Co-founder Jonathan Harrison said his machines were delayed five months, despite constant reassurances from Kelley. Harrison says he was promised the machines by January and only received them in May. Both machines arrived without defects and one is operating in East London’s Old Street Underground station. “It has been a really bad customer experience,” Harrison said. After the long wait for a Robocoin machine, some customers remained dissatisfied with the units. The major source of frustration is Robocoin’s software, Harrison and Sargent said. Harrison said he has been resisting Robocoin’s efforts to update his machine’s operating system. The new software requires ATM customers to use a Robocoin wallet, but Harrison says this is a form of centralisation that he rejects. “They are definitely trying to coerce people into upgrading to this centralised bank 2.0 system, which is not really on. We bought an ATM not a wallet system. We don’t like the high pressure we’ve been put under,” Harrison said. Kelley says that operators can “absolutely” choose to update their system. He added that updating the system is “strongly recommended” because it is more stable and provides a more consistent user experience for users of Robocoin machines. He says that the wallets generated by his machines are “essential” to increasing the number of bitcoin users. “Is it perfect yet? No. But we believe it is a valuable solution to serve the underbanked and remittance markets,” Kelley said. Sargent, meanwhile, said he intended to link his unit to the Canadian exchange Cavirtex. He said he asked whether this would be possible, and was told that it would be. When the machine arrived, however, he found that he couldn’t link it to his local exchange. Instead, he found it was hard-coded to conduct trades on Bitstamp. Despite being the first company to launch a bitcoin ATM, Robocoin today trails market leader Lamassu in the number of operational units it has on the market. It is still in second place by a comfortable margin but new entrant BitAccess is gaining on it quickly, according to data from the CoinDesk Bitcoin ATM Map. One operator that reports a largely positive experience with Robocoin is Cointrader. The firm used to be known as Bitcoiniacs. It operates the first bitcoin ATM – a Robocoin unit – and was largely responsible for thrusting the ATM-maker into the spotlight, after reporting a transaction volume of CA$1m within a month of launching. Hugh Halford-Thompson, head of Cointrader’s UK operations, where it runs a Robocoin machine in the trendy London neighbourhood of Shoreditch, has a favorable impression of Robocoin and Kelley’s customer service. “I’ve been working with them since April, and they’ve been really good for the business,” he said. Halford-Thompson added that delivery of his machine was delayed, but that he expected it for a new product like a bitcoin ATM. “It was delayed, but nowhere near that much [compared to MetaLab]. I was expecting it to be delayed a lot more because it’s a new product,” he said. He added that he was satisfied with Robocoin’s new software, even though Robocoin remotely updated the software on his machine several weeks ahead of schedule by accident. “I was unsure about it at the start, but it is a far more stable platform. It is more reliable and it works a lot better,” he said. Although Kelley responded to MetaLab’s Reddit post with defiance with a now-deleted reply, he has now published an unreserved apology on the message board. He told CoinDesk that his first response was a “judgment error” that was committed in a moment of high emotion. “My intention to share my perspective came across as defensive excuses. Frankly, it did more harm and I wanted a redo,” he said.